Findet Eure passende Größe in beigefügter Tabelle. Bei Rückfragen helfen wir Euch gerne weiter. 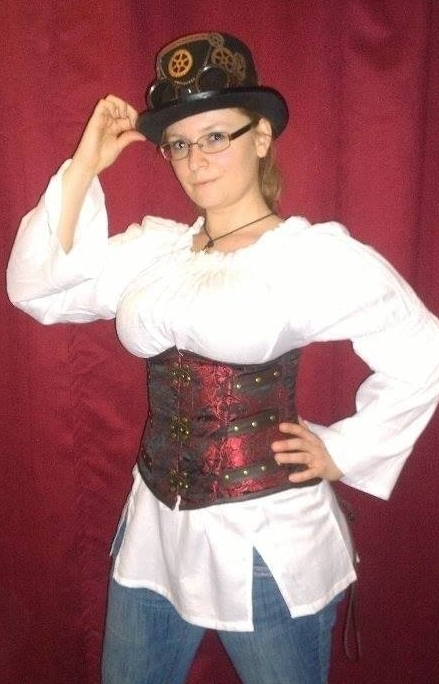 Warrior underbust steel boned corset in brass taffeta with brown matte hip panels .A steampunk corset with c-lock fastening, laces and modesty panel at rear. Warrior underbust steel boned corset in brown king brokat with brown matte hip panels .A steampunk corset with c-lock fastening, laces and modesty panel at rear. Warrior underbust steampunk corset in black taffeta with black matte hip panels. A corset with silver c-lock fastening, laces and modesty panel at rear. C-Lock underbust steampunk corset in brown king brocade with brown matte vinyl panels and brass studs. Brass c-lock fastening, laces and modesty panel at rear. aus matten schwarzen Vinyl mit braunen matten Vinyl-Streifen und bronzefarbenen Nieten. C-Lock underbust steampunk corset in black matte vinyl with brown matte panels and brass studs. Brass c-lock fastening, laces and modesty panel at rear. Bernia underbust waist training leather corset in brown and black soft, high quality napa leather. 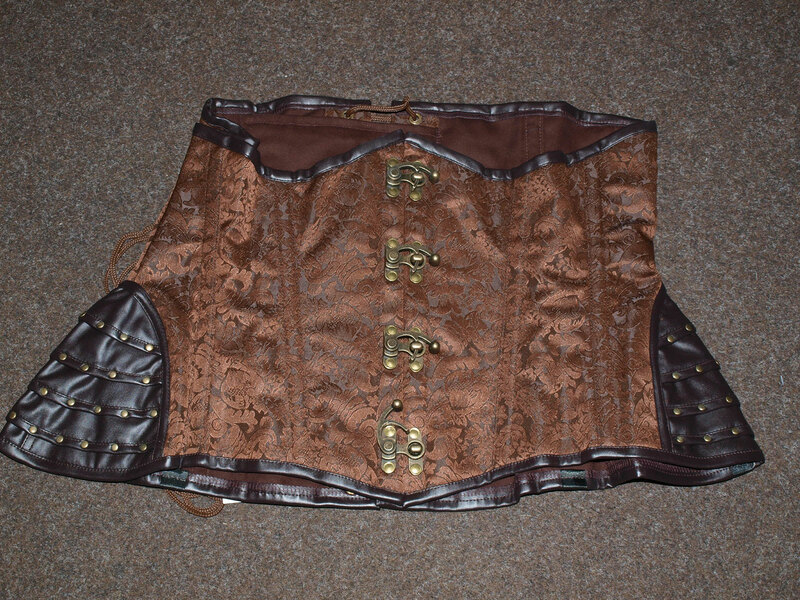 A steel boned steampunk corset with clip fastening and buckle detail, laces and modesty panel at rear. C-Lock underbust steampunk corset in gold king brocade with brown matte vinyl panels and brass studs. Brass c-lock fastening, laces and modesty panel at rear. Candy underbust burlesque corset in brown and gold scroll brocade. A waist training corset with brass c-lock fastening, laces and modesty panel at rear. 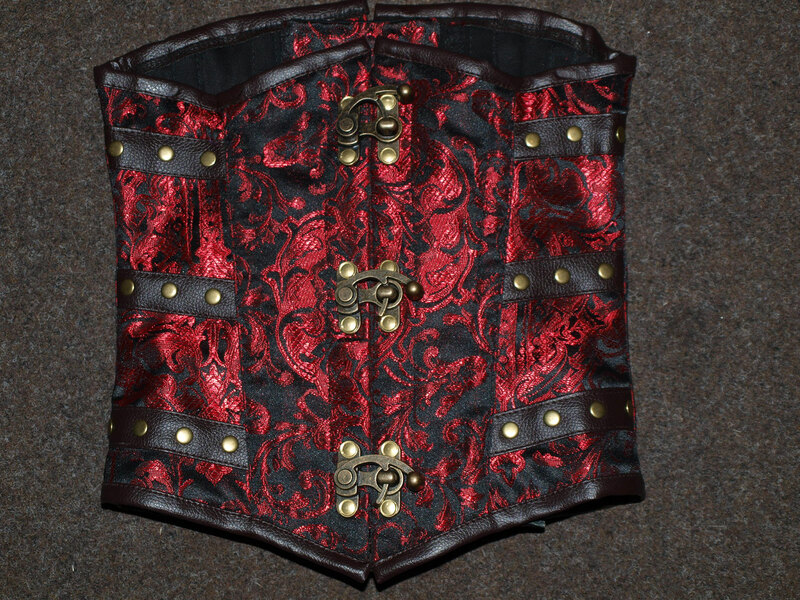 C-Lock underbust steampunk corset in red king brocade with brown matte vinyl panels and brass studs. 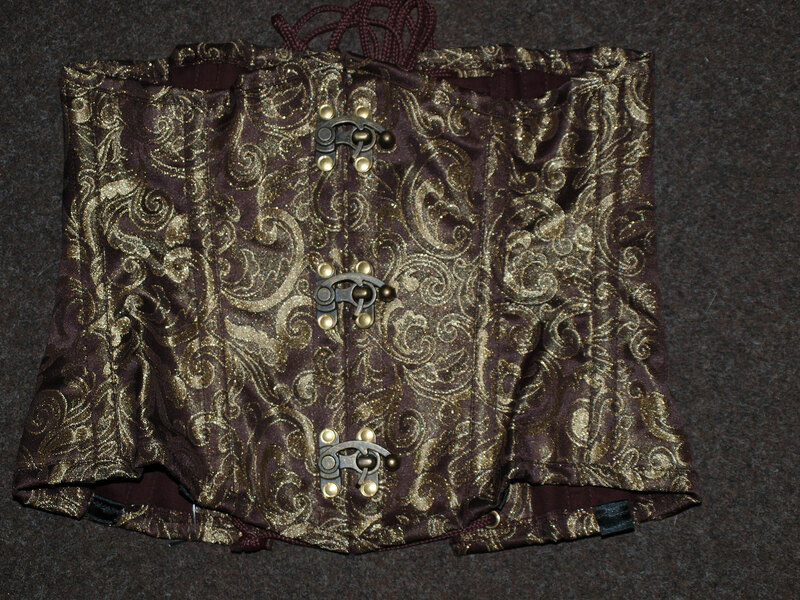 A corset with brass c-lock fastening, laces and modesty panel at rear. C-Lock underbust steampunk corset in black twill with black matte vinyl panels and silver studs. Silver c-lock fastening, laces and modesty panel at rear. Candy underbust burlesque corset in cream brocade. 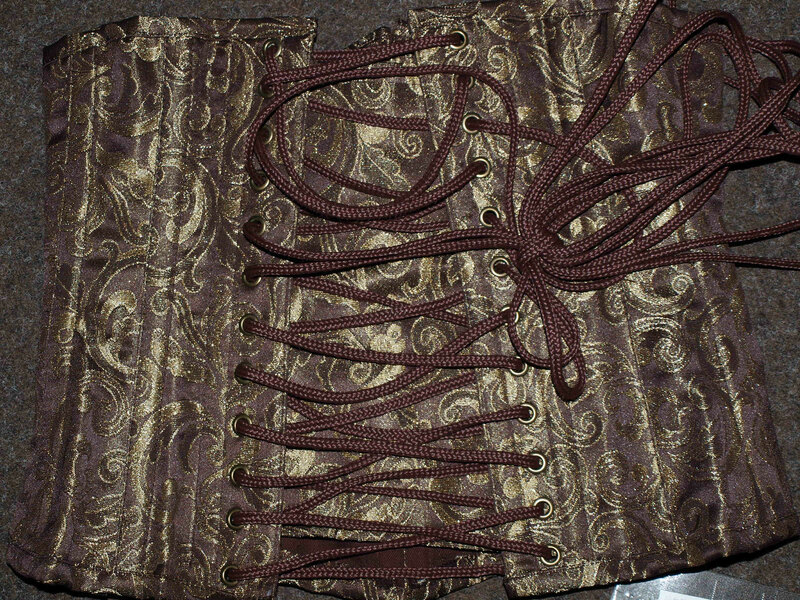 A corset with brass c-lock fastening, laces and modesty panel at rear. Candy underbust steel boned waist training corset in black brocade. A waist cincher with clip fastening at front, laces and modesty panel at rear. Candy underbust steel boned waist cincher in red brocade. A plus size waist training corset with clip fastening at front, laces and modesty panel at rear. Candy underbust steel boned waist training corset in red scroll brocade. A waist cincher with clip fastening at front, laces and modesty panel at rear. Candy under bust steel boned waist training corset in white satin with white lace overlay. A burlesque corset with clip fastening, laces and modesty panel at rear. Morgana underbust steel boned corset in brown and black. A burlesque corset with clip fastening, laces and modesty panel at rear. Morgana underbust steel boned corset in creme and black taffeta. A burlesque corset with clip fastening, laces and modesty panel at rear. Morgana underbust steel boned corset in silver king brokade and black. A burlesque corset with clip fastening, laces and modesty panel at rear. Morgana underbust steel boned corset in black king brokade and black. A burlesque corset with clip fastening, laces and modesty panel at rear. Morgana underbust steel boned corset in red king brokade and black. A burlesque corset with clip fastening, laces and modesty panel at rear. Morgana underbust steel boned corset in gold king brocade and black. A burlesque corset with clip fastening, laces and modesty panel at rear. Morgana underbust steel boned corset in red and black. A burlesque corset with clip fastening, laces and modesty panel at rear. Morgana underbust steel boned corset in black velvet and black lace details. A burlesque corset with clip fastening, laces and modesty panel at rear. Jasmin underbust burlesque corset in gold king brocade with lace frills and ribbon detail. Closed front, laces and modesty panel at rear. Candy underbust steel boned waist training corset in red satin with black lace overlay. A waist cincher with clip fastening, laces and modesty panel at rear.